Of the 21 piano sonatas of Franz Schubert, 7 were left unfinished. 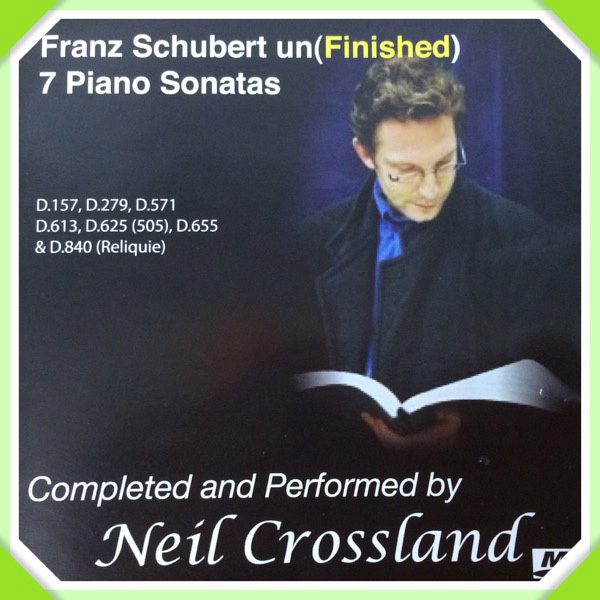 Based on Schubert’s materials and in a Schubertian fashion, Neil Crossland, had completed all 7 unfinished piano sonatas, aiming to relive Franz Schubert’s unfinished work, as these unfinished piano sonatas had not received their deserved recognition, and very little effort was made to bring these sonatas to the public awareness. These sonatas might contain precious insight and information, leading to a more in-depth investigation into the creative process of this important Romantic composer. This is a remastered release of the original 3 CD-box set into a single mp3 CD. Completed and performed by Neil Crossland.